Disney Baby's Collection ~ The Perfect Gift For A New Arrival! 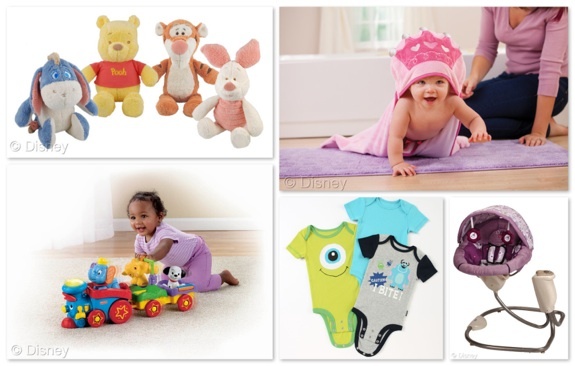 Home » Disney Baby’s Collection ~ The Perfect Gift For A New Arrival! Disney Baby’s Collection ~ The Perfect Gift For A New Arrival! Disney is undoubtedly a powerhouse brand that dominates in family travel destinations and entertainment. Not wanting to leave anyone out of the ‘magic’ they launched their official Disney Baby collection last year for their tiniest fans. In doing this they partnered with many manufacturers in the juvenile products industry to introduce items for babies including layette, bath and signature baby gear pieces. To correspond with the launch of their first retail store I received a gift bag that included many items that would be perfect for a new arrival. While we had previously written about some of the new additions to their collection, I hadn’t had the chance to see any of the items up close until now. 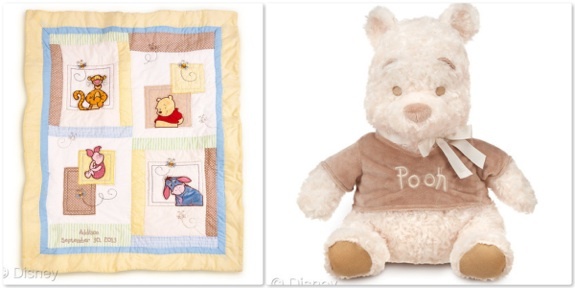 From soft plush bears, that could be used as a keepsake and passed down, to traditional quilts that would make an ideal ‘first blankie’, Disney has created a line that is both timeless and imaginative. 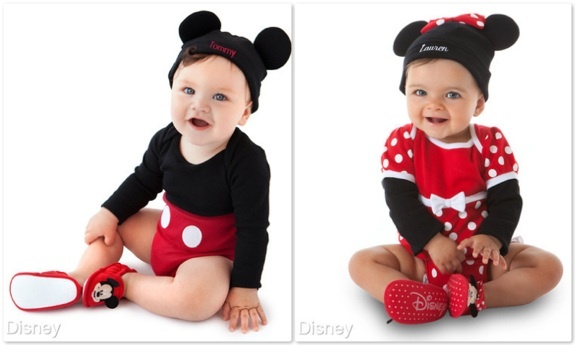 I don’t have a baby, but I want one to put in the Mickey and Minnie cuddly bodysuit and cap. And if those suits were cute enough, there are slippers that match. To see more of their collection please visit DisneyBaby.com. They also have a great blog that is written by moms who share seasonal finds, personal moments and parenting tips! Matt Damon Trick or Treats With His Girls!